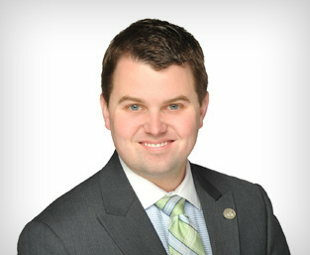 Recognized as OneZone’s 2015 Young Professional of the Year, Elliott recently completed his degree at the Graduate School of Banking program through the University of Wisconsin, Madison. No one enjoys working with entrepreneurs more than Elliott, which makes the Fishers’ Nickel Plate District the perfect place for him. He enjoys the challenge of working with owners and management to utilize deposits and loans to strengthen the business’ structure and maximize potential profit. When he isn’t at work, you’ll likely find him spending time with his family - and it’s not unusual to find him flying his drone. If you’ve got questions about your company’s finances, contact Elliott today.